On January 18, Washington, D.C. hosted both the Indigenous People’s March and the anti-abortion March For Life, drawing activists of all kinds from across the country. Among them were Nathan Phillips, a known protector of Indigenous rights and a member of Nebraska’s Omaha tribe, and a group of students from the all-male Covington Catholic High School in Kentucky. What took place that afternoon has been reported on numerous times, framed and re-framed as new information came out. Now that the dust has more or less settled, and the only new articles about the situation are centrist op-eds, the time has come to evaluate not only the confrontation but the subsequent media storm itself. From the first hurled insult to the last correction, the most striking constant has been the way the public has viewed the actions and behaviour of the people involved in relation to their race. I am white, and can’t speak on racial oppression from a position of experience. Instead, here, I examine the situation from the perspective of someone who benefits from the same privilege that the Covington students have. In my research I drew from Nathan Phillips’ Indigenous activism community, as well as from non- white journalists who commented on the situation. From the first hurled insult to the last correction, the most striking constant has been the way the public has viewed the actions and behaviour of the people involved in relation to their race. The first video released of the event was brief, and was expanded upon later. For clarity of discussion, here is what we know now: a group of Black Hebrew Israelites were yelling insults and Bible verses at passersby. A large group of Covington Catholic students, dressed in “Make America Great Again” apparel, were waiting for their bus and engaged with the Black Hebrew Israelites. As the confrontation became more heated, Nathan Phillips and a group of Native American activists who had attended the Indigenous People’s March approached the groups, specifically the Covington students. Phillips was playing a drum and singing an American Indian Movement song whose message is explicitly one of solidarity. Phillips stopped in front of a student wearing a red MAGA cap. The student, Nicholas Sandmann, made eye contact, standing his ground with a smug smile. Around them, the other Covington students mocked Phillips’s song, whooped, and made “tomahawk motions.” The “Tomahawk Chop” is used by sports fans across America, and is the culmination of years of racism, reducing more than 500 Indigenous nations into one stereotyped gesture. The “tomahawk chop” is shorthand for a perception of Indigenous people and nations as aggressive and primitive. When confronted with actual Indigenous people, the Covington students responded with what they associate with Native Americans: a one-dimensional, dehumanizing caricature. Others who witnessed the event reportedly heard them yelling “Make America Great Again” at a female passerby. Nathan Phillips later asserted that he felt the students were a threat to the Black Hebrew Israelites, and said that he heard the students chanting “build a wall.” While neither of these can be heard in the various videos of the event, it doesn’t really matter. Whether they said it explicitly or not, the Covington students were deliberately sporting the symbols of that sentiment. 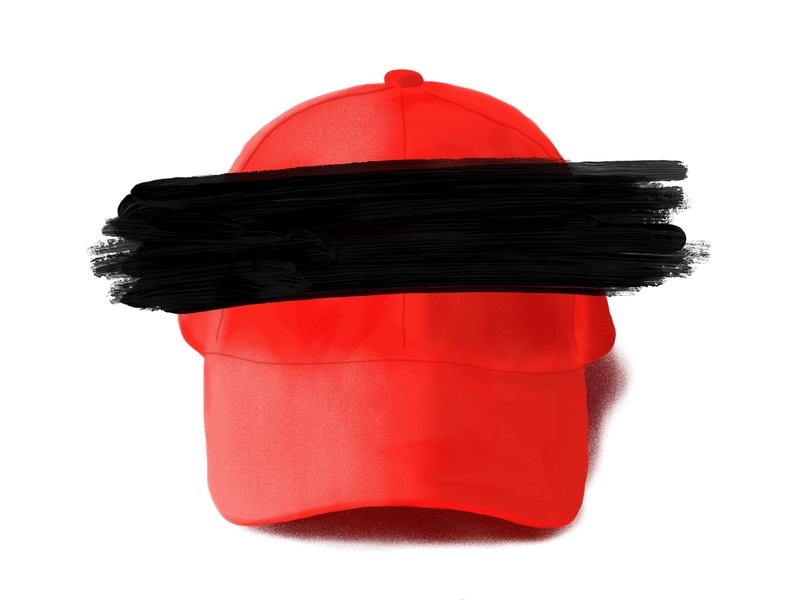 By choosing to wear MAGA clothing, they chose to openly associate themselves with the Trump administration and all of its rhetoric, including its explicit racism. The Trump name and his slogans are frequently used as weapons of racial intimidation precisely because of the systemic support of bigotry they represent. The Covington students knew that, and any claims otherwise are not in good faith – there is no way that they support Trump so deliberately without understanding the full extent of that endorsement. Initially, only the face-off between Sandmann and Phillips was released. In the race to report on a partial video, many individuals and major news agencies made mistakes. Celebrities and activists on Twitter leaped to condemn the Covington students’ actions, and so did The New York Times and The Washington Post. They reported, as did others, that Phillips was a veteran of the Vietnam War, and assumed that the students had surrounded him. When the full videos came out, revealing not only that the Black Hebrew Israelites engaged with the Covington students first, but that Phillips had approached them, several things happened at once. Most extreme responders rushed to take back their comments, conservative news outlets had a field day, and the media reported that Phillips had never served in the Vietnam War. By choosing to wear MAGA clothing, they chose to openly associate themselves with the Trump administration and all of its rhetoric, including its explicit racism. If you don’t think too hard, this seems relatively straightforward. The overwhelming response was along the lines of, “we thought the boys were bad and racist, but they didn’t even start it, and this guy lied about his veteran status. So, let’s at least partially forgive the boys, and stop believing Phillips — he’s clearly unreliable.” This is ridiculous for several reasons. For one, Phillips’s initial statement was that he is a “Vietnam-era veteran,” and he later clarified that he had fought during that period — he never claimed to be a veteran of the war itself. His comments were misinterpreted by journalists, and this was later used to discredit him. Secondly, and most importantly, it doesn’t matter who started it. It doesn’t matter that the Black Hebrew Israelites initiated anything. It doesn’t change the facts: the Covington students came to D.C. to support a racist administration whose leader had only weeks earlier mocked the massacre at Wounded Knee. But the media and the public felt some regret for… what exactly? For assuming that the Covington students were the instigators? For cracking down too hard on minors, who were approached by adults? Firstly, while the students didn’t necessarily cause the initial tensions, they certainly instigated racism. Secondly, let us be crystal clear, again: the Covington Catholic students commuted to a march opposing reproductive rights, wearing their support for an unashamedly racist and sexist administration and the oppressive structures it upholds, and proceeded to mock an Omaha man with racism and hatred. The Black Hebrew Israelites didn’t make them do that. Nathan Phillips’ approach didn’t make them do that. The Covington students are responsible for these actions, regardless of what the adults around them did. And yet, despite these facts, the Covington students continue to be absolved of their actions and to receive sympathy. Nicholas Sandmann received death threats, but also a televised interview. He was doxxed, but ultimately met with significant support once the “bigger picture” was revealed. Nathan Phillips, on the other hand, faced negative press from the beginning. Nicholas Sandmann’s statement, which was ghostwritten by a PR firm affiliated with Mitch McConnell, included a statement condemning Phillips’ “invading the personal space of others.” Conservative and moderate media outlets then brought up Phillips’ status as an activist and his prior work against the Dakota Access Pipeline to paint him as someone seeking out conflict. White privilege allows young white men an unfathomably low standard of behaviour, while BIPOC youth are not only held to an unrealistically high one, but also routinely demonized by the media. What’s more, Trump overtly endorsed the Covington students, and invited them to the White House. Clearly, within a systemically racist society, their behavior will never be more important than their privilege. Trump’s support has clear meaning, which is echoed by the public and the media at large: white men have unconditional systemic support, regardless of their actions. Further, if the narrative isn’t in their favor, the media will twist it and offer them the benefit of the doubt. The direct comparison of these students to Nathan Phillips brings home the fact that this treatment will never be extended to BIPOC under the dominant structures in place. Nathan Phillips’ mediating behavior is portrayed as confrontational, and his intentions disregarded. The Covington students’ racism is tossed aside entirely. It is all too easy for the public to shrug off white male behaviour as childish or harmless, while the behaviour of BIPOC is constantly and deliberately misinterpreted, and characterized as inherently threatening or dangerous – and this holds double for young people. White privilege allows young white men an unfathomably low standard of behaviour, while BIPOC youth are not only held to an unrealistically high one, but also routinely demonized by the media. In this case, a calm, adult Indigenous man is given less respect, credibility, and forgiveness than an unruly group of bigoted white children. There is nothing Phillips could have done to change that dynamic. Even an explicit act of peace is framed as dangerous, uncomfortable, and unacceptable if performed towards a white group by a non-white group. If the media continue to allow the Covington students forgiveness because they weren’t as bad as they could have been, the media are perpetuating a culture of offering young white men impunity. They will grow up thoroughly convinced of their own innocence, and entirely comfortable performing destructive, harmful behaviour, safe in the knowledge that they will never have to be responsible for it.